For OEMs looking for a flexible manufacturing solution, this is the answer. 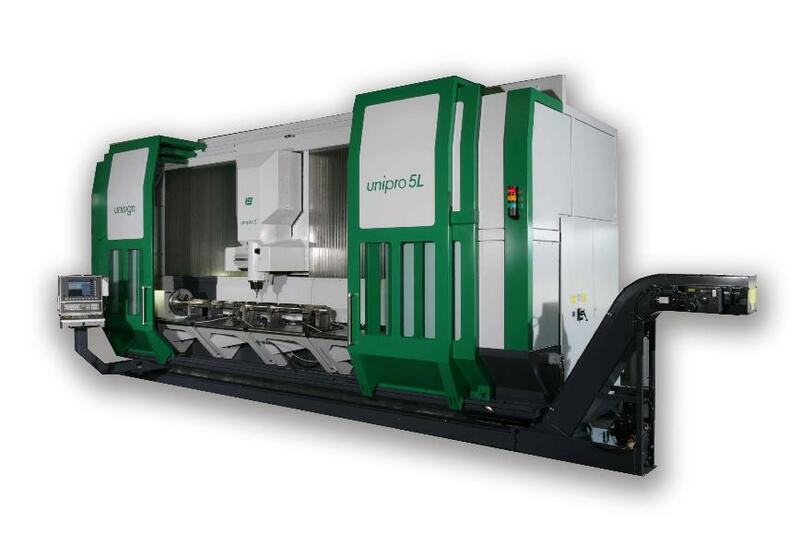 The Unipro 5L is a powerful machining centre with a large work envelope and can machine in 3 or 4 axes. Its high speed in combination with excellent contouring accuracy make it ideal for producing long, precision parts as well as complex integrated structural components. It has an innovative machine cooling system that produces extremely high thermal stability. And it features high-resolution direct position measuring systems in all axes. High productivity is central to the concept of this vertical machining centre. The 3- or 4-axis capability and high-speed spindles turn even the most complex applications into fast, standard operations of the highest accuracy. And with a large work envelope this powerful machine is extremely adaptable too! The Unipro 5L features various spindle configurations for milling, drilling and cutting steel, aluminium and other materials. Four different spindles are available, from light machining to high power. This machine can be configured with an optional NC rotating table for 4-axis machining, or with two work zones for machining in pendulum mode. The ergonomically designed enclosure protects operators fully, yet still offers good accessibility through sliding doors at the front. The machine has a closed cabinet for fume extraction. Tool loading and unloading can be carried out safely during machining since the tool magazine (for up to 79 tool pockets) is guarded by an automatic sliding door that serves to protect the tool tapers from coolant and chips. An additional tool magazine (for up to 100 tools) can be added.